How to Place Google AdSense Code to your Wordpress Blog without Coding Simple steps on how to display Google AdSense Ads on your Wordpress blog without coding. - Choose an AD TYPE whether it’s Text and Display ad which is image type of ad and text or Text Only type of ad which contains only text. Normally Google recommend you use the display and text type art. -Choosing text and style: This allows you customize the ad in background colors and text styles and size nit normally necessary but it’s an opportunity to test your creativity. -Save and GET CODE if you’re certified with your ad. Copy the Code. -Got to your Wordpress dashboard Under the APPEARANCE drop down menu select WIDGETS -Drag a TEXT widget and drop it wherever you want it to display. 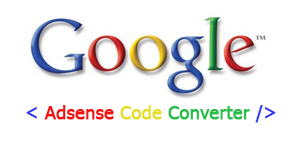 Open the widget and paste the AdSense code in the text area and SAVE it. -Visit you page and there should be your ad, if the ad is blank it mean it’s on pending, sometime its take few hour for the ad to become active.